With great power comes great responsibility, unless you're a messed-up high school kid with nothing to lose. 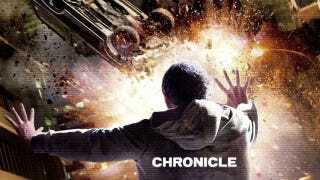 This weekend, the found footage superhero flick Chronicle hits theaters. To tide you over until then, here's a new super-spoilery clip from the film, in which the littlest superpowered high schooler cuts loose.